Use this form to tell us what technology needs and requirements you have as a law enforcement or corrections professional. Describe what things or ideas you have that would assist you in doing your job more safely and/or effectively. This form is not to be used by vendors, for unsolicited proposals, or for vendor-specific needs. We are actively seeking ideas to help us identify technology needs and requirements as part of the National Institute of Justice's Research, Development, Testing, and Evaluation process. 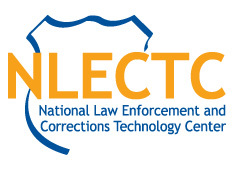 The process takes this input from law enforcement and corrections practitioners and uses it to make recommendations on prioritizing NIJ's investments across technology portfolios. General questions about technology, funding technology projects, or publication assistance may be sent to asknlectc@justnet.org.